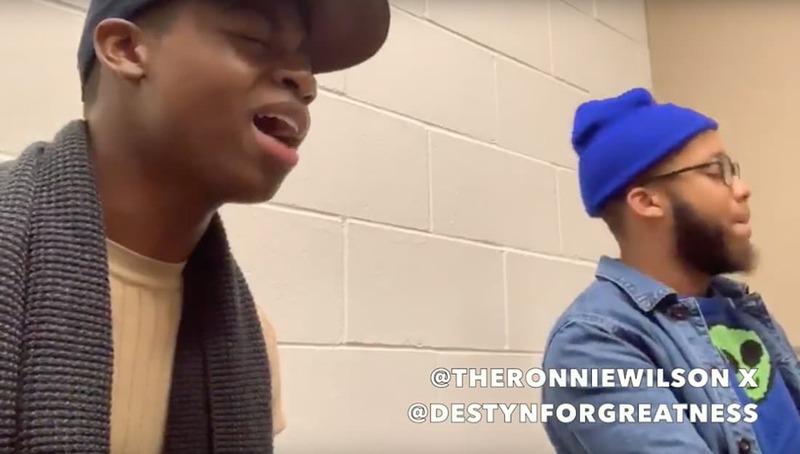 Every week, Watch The Yard highlights a member of a Black fraternity/sorority who is making a space for themselves in the music industry and this week we are highlighting Phi Beta Sigma’s very own Destyn Land and Ronnie Little. Destyn Land is a student at Augsburg University, and an initiate of the Pi Eta Chapter of Phi Beta Sigma Fraternity Inc. Ronnie Little is an initiate of the Kappa Chi Chapter of Phi Beta Sigma Fraternity Inc. These brothers created a Gospel version of the song ‘The Climb’, originally performed by Miley Cyrus. Share this on Facebook if you think these Sigma men deserve to go VIRAL!